Then, just as ghost children wave in the rear-view mirror, the story shifts, “I’ve been taught that I should wait to be chosen/That I haven’t known love until I’ve been destroyed by love.” The solace of the beguiling golden light becomes something dark-hued and cautionary. Gibson expands, “I wanted the songs to feel like fables, to unfold with dream logic.” Her songs are haunted. Odd birds act as harbingers before transmogrifying into wolves. “I’d known for a long time that I wanted to make a record about grief. In some ways, every song I’ve ever written has something to do with grief,” says Gibson, staring boldly into the abyss. Perfused with ruminations about her distant past and uncertain future, the folk/indie rock singer wrote and recorded Goners during a time of personal upheaval and transition. Much of the album explores the loss of her father when she was a teenager and her wrestling with the decision of whether or not to become a parent herself. Gibson’s pen transforms a scar into a vessel for memory. “If we're already goners,” she sings in the title track, “Why wait any longer for something to crack open?” The album carries weight and casts a broken spectre over the world at large. 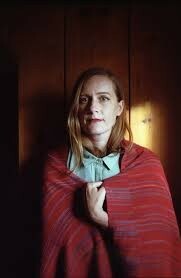 Monday, Feb 11 sees Laura Gibson at The Rialto Theatre on a celebratory tour supporting singer-songwriter Gregory Alan Isakov.